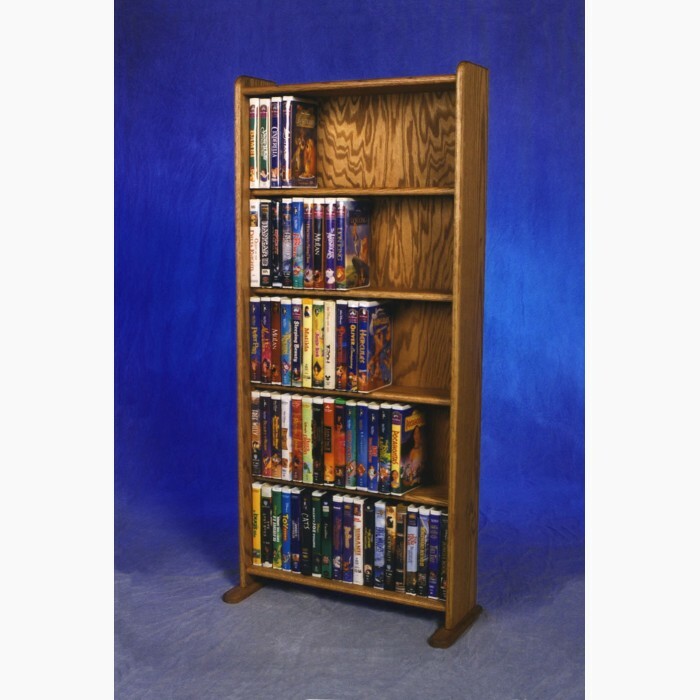 Made in the USA.|Solid oak-no particleboard-back is oak covered MDF. 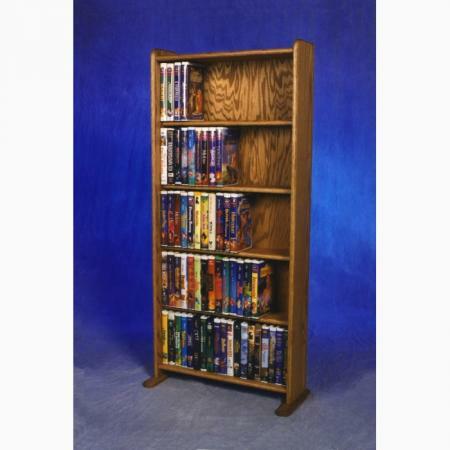 Capacities: 200 DVDs. 105 VHS Tapes.